Ecommerce is bigger than ever and the trend will continue as long as humanity keeps growing in number. Coupled with technologies like mobile devices and social networking, these are phenomena that are recent but have had a life-changing impact on the way business is conducted. As a professional in ecommerce development services in India, these trends mean bigger business while presenting newer challenges. What are the trends in 2016 that you can take advantage of to keep your customers happy? While sales on mobile platforms have not become a force, the trend is on that path. Mobile devices are becoming more powerful and bigger in screen size. More and more mobile users are getting comfortable spending longer hours on their devices. 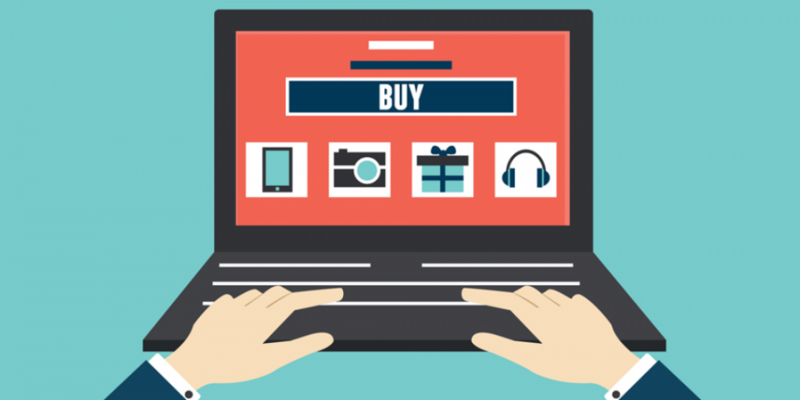 This translates to more exposure to products online which in the end converts into a sale for a needed product. You cannot afford to ignore making your site mobile compatible. Simple math shows that even if 1% of the 100 million mobile users visited your site, you would have a million visitors out of which another 1% makes 10,000 customers. Social networking has become inseparable from mobile technology. Many mobile devices are coming from the shop with pre-installed social networking apps like Facebook, Twitter and Instagram. Interacting with your existing and potential customers on social media has become the norm. Ensure that you have the necessary plugins and widgets to reach your customers on social networks and also get their feedback. Ecommerce development services are making web designs flashier and more appealing to the eye. Be a step ahead and make the most of stunning graphics and videos. Reduce the clutter on your homepage and explain yourself in simple but beautiful and interesting videos and graphics. You can lead the visitor on with two or three paths. Your sales will be just as good as the effort you put in. while having a stunning website will make your visitors interested, it does not mean convert easily into a sale. Ensure that you compel your visitor to an action. For example, encourage them to like your Facebook page. When a site visitor takes an action like liking your Facebook page, follow up. This will mean having a competent virtual salesforce. Have the tools necessary for your sales team to act. Chat widgets, for example, are very good in prompting an interaction with potential customers. Getting your products as visible as possible should be one of your priorities. Get on Amazon, Etsy and Theme Forest. These sites have developed a loyal base and their users will feel safer buying on them than from your site. Getting good reviews on sites like Alibaba are powerful marketing boosts as these online stores have millions of users. Ensure that customers can easily link to your page in case they are interested in more offers. It has been proven that it is easier to keep an existing customer than to win one. You should struggle to keep your customers through a loyalty program just like in the brick and mortar shops. Come up with a points system and offer discounts to top point earners or complementary free goodies. Having real time analytics for your site will give you an idea on what is working and what is not enabling faster response and remedying. There are many tools that can help you make an informed decision on how well your site is faring. See how many visitors there were, how much time they spent on the site and how many related offers.